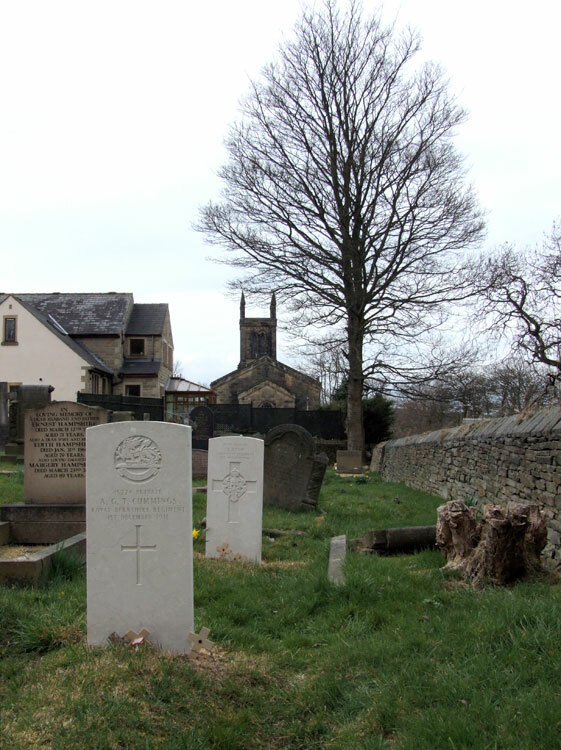 New Mill (Christ Church) Churchyard Extension contains 2 burials from the First World War and 1 from the Second. 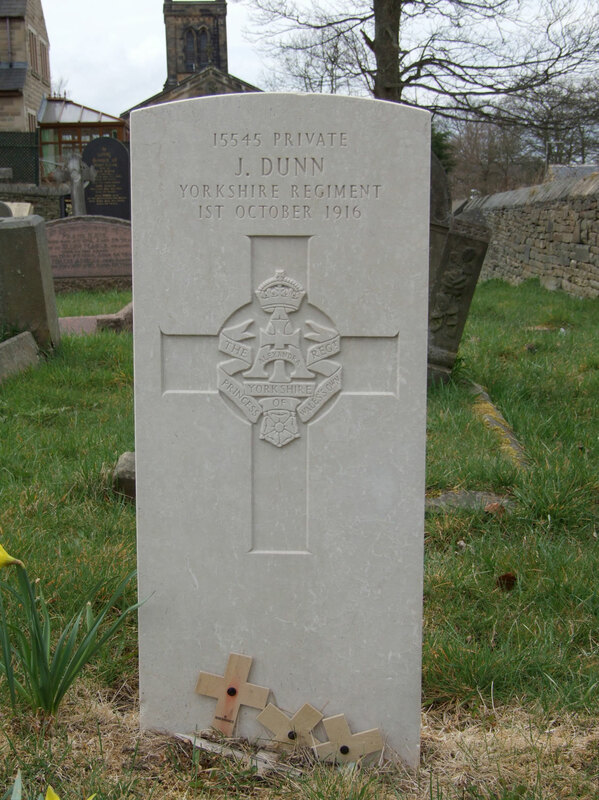 Very recently (May 2012) a soldier of the 3rd Battalion Yorkshire Regiment was interred in the cemetery, having been killed on active service in Afghanistan. A report of his funeral can be found here. 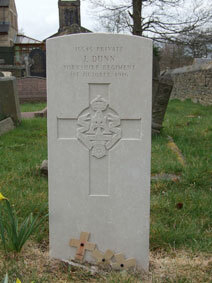 One soldier who served with the Yorkshire Regiment is buried in the cemetery. 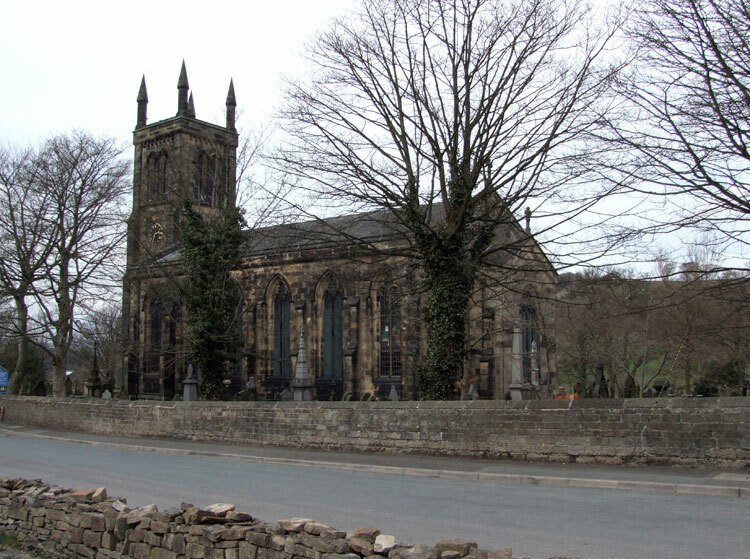 We are very grateful to Richard Roberts (<richard.nsw@googlemail.com>) for providing the photographs relating to this cemetery and the Yorkshire Regiment soldier's headstone. 10th Battalion the Yorkshire Regiment. Son of George & Hannah Dunn. Died at home 1 October 1916. Aged 40.